Our goal is to provide Awesome, Healthy, Fun to you and your entire family. We can't do that without talented and engaging team members! If you'd like the opportunity to work at Sky Zone Space Coast check out the position listed below and fill out our online application. Our next Group Interview is Monday September the 24th at 4PM! We are looking for Court Monitors, Team Leads, and an Hourly Manager. Call 321-265-5867 and ask for a manager if you have any questions! Apply to be a fun & energetic member of our already stellar team! Are you a high energy individual that loves interacting with people of all ages? 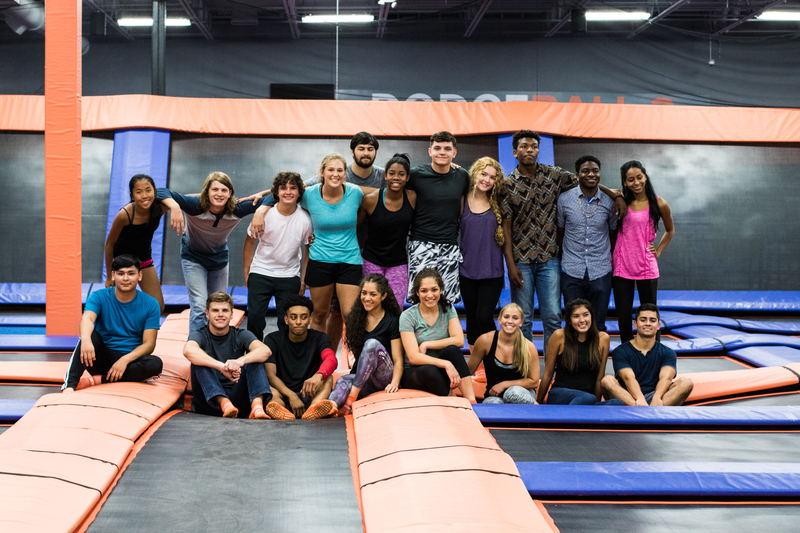 Sky Zone Space Coast is the place for you! All of our Team Members start out in our most important position, Court Monitor. From there you will have the chance to be trained as a Cashier, Party Host or Event Assistant. Advancement opportunities are available where you can become a Team Lead or even an Hourly Manager. Apply today by clicking the link! Below is a short job description that will give you some idea of what you might start out doing here at Sky Zone Space Coast! • Advocate Guest satisfaction and Deliver WoW!